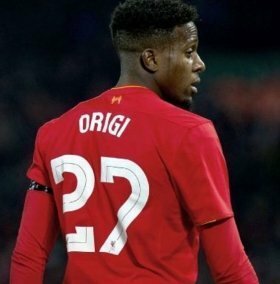 Liverpool have reportedly decided to decline the chance to offload Divock Origi following the recent departure of Dominic Solanke to Bournemouth. The Belgian has struggled for gametime throughout the current campaign and he has managed less than 180 minutes of action across all competitions for the club. Due to this, he has been fancied to pursue a fresh challenge in the current month but according to The Liverpool Echo, that may not happen with Klopp reluctant to sanction his sale. Origi is currently behind the likes of Roberto Firmino, Mohamed Salah and Daniel Sturridge for the centre-forward role but Klopp remains keen on keeping hold of the Belgian suppose an injury crisis arises. The Belgian featured from the off during the Reds' recent 2-1 FA Cup defeat at Wolves but he should drop to the bench for the weekend's league clash against Brighton. Liverpool are currently holding the top spot in the Premier League standings with a four-point advantage over Manchester City, who defeated them in the previous matchday.